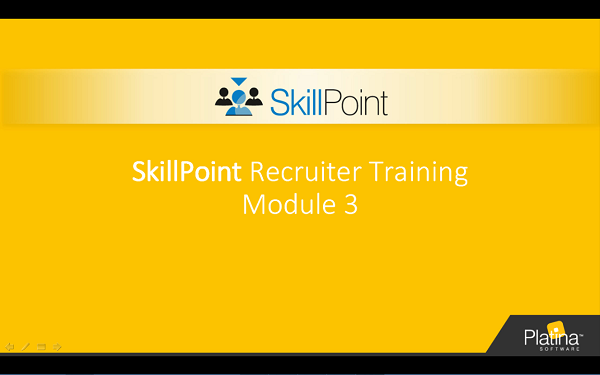 After viewing this training module you will be able to perform advanced candidate management including using candidate segregation features, advanced search options and recruitment features. This summarizes the topics that will be covered in the training module. 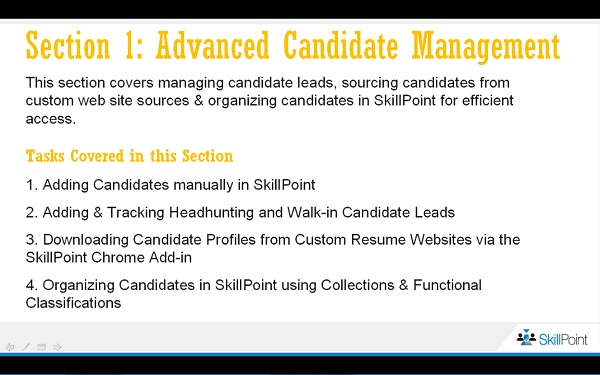 This section covers managing candidate leads, sourcing candidates from custom web site sources & organizing candidates in Talenture RS for efficient access. 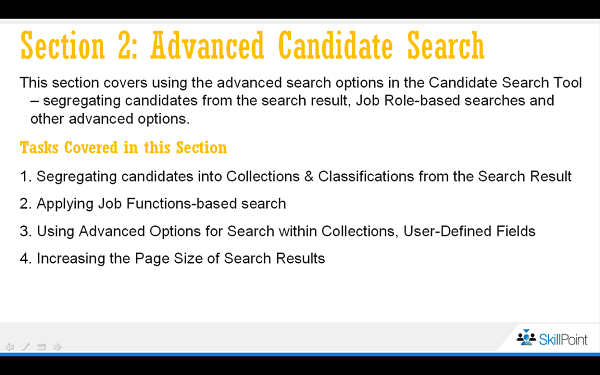 This section covers using the advanced search options in the Candidate Search Tool - segregating candidates from the search result, Job Role-based searches and other advanced options. 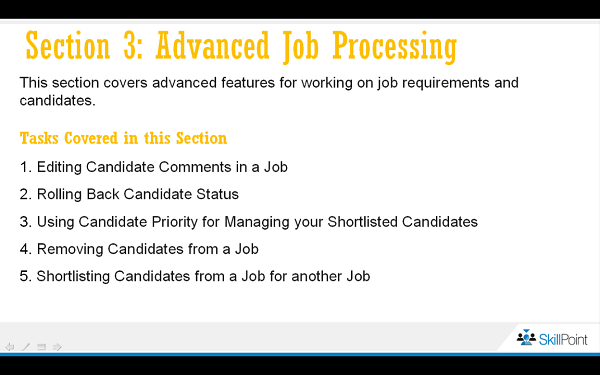 This section covers advanced features for working on job requirements and candidates. 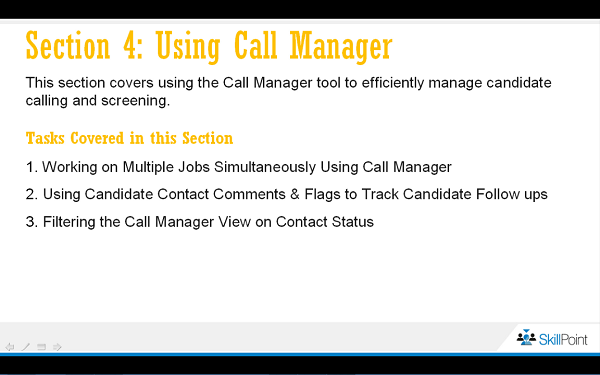 This section covers using the Call Manager tool to efficiently manage candidate calling and screening.